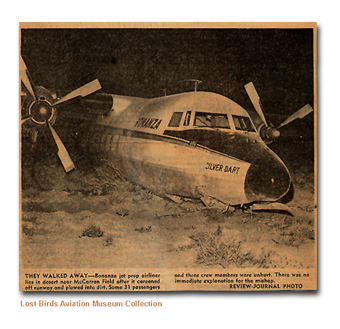 On February 12, 1964 Bonanza Air Lines Flight 416 over shot the runway at McCarran International Airport in Las Vegas, Nevada. The incident caused minor damage to the aircraft and was later repaired and put back into service. The passengers and crew were not injured.